Hey, teacher friends! Hope your year 2015 is off to a great start! I was actually pretty productive yesterday and uploaded a new YouTube video along with a freebie. 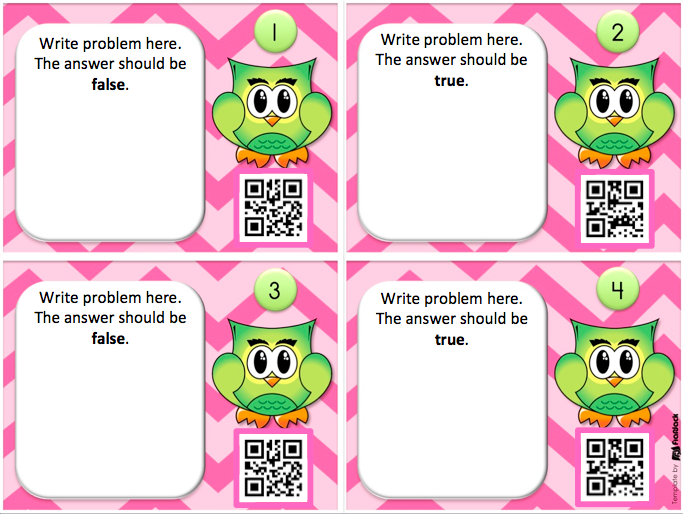 I’ve created some QR code task card templates that I’m pretty excited about. Not only will they make my life easier when I need to create a quick review activity, but they also use technology and are self-checking which my students will love. 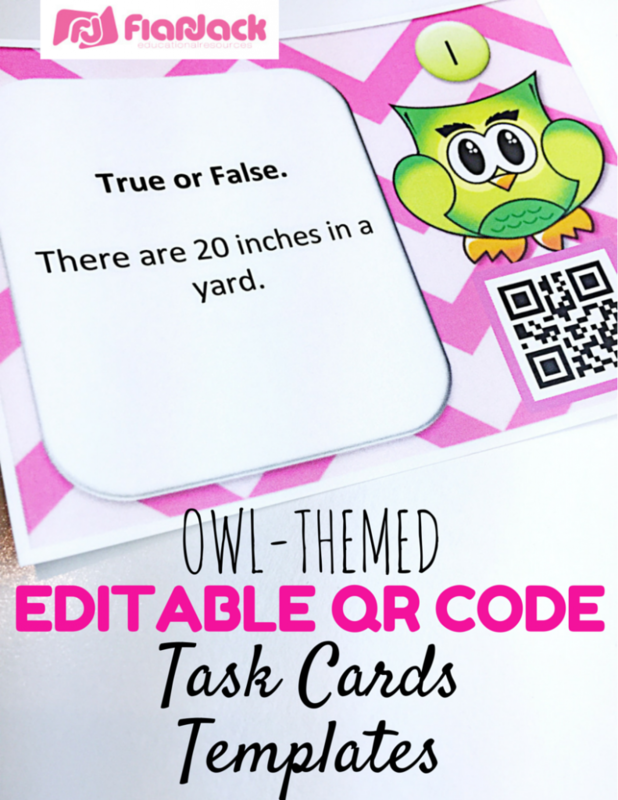 Matter of fact, I am thinking of maybe having them create their own QR code task cards, so they can take more ownership of their learning (and so I can sit back and relax, lol! Just kidding!). If you’re new to QR codes and would like to learn more about them, just check out my QR code tutorial page. 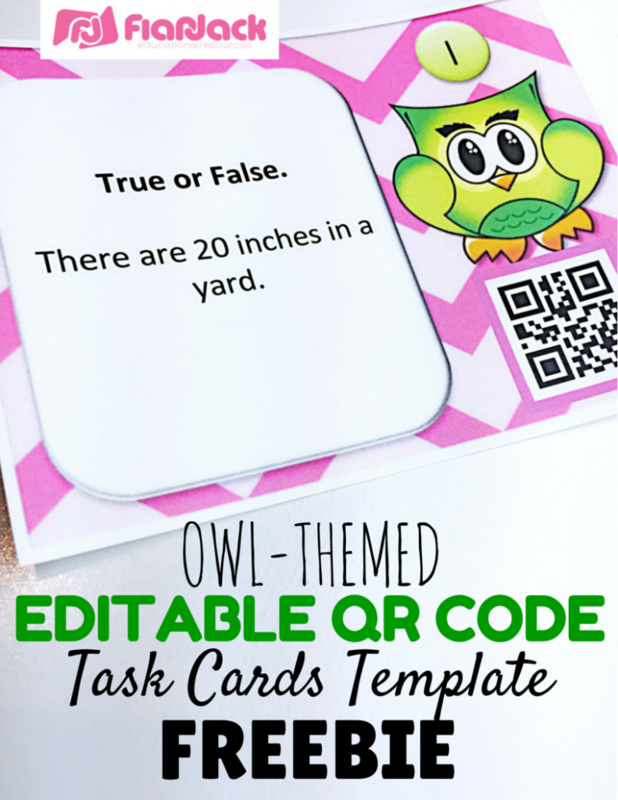 And if you love owls, be sure to check out my owl freebie page with over 10 classroom freebies! 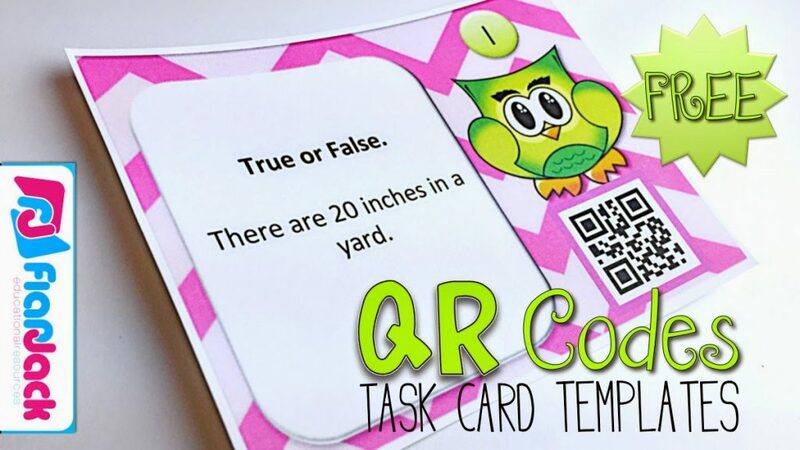 And if you enjoy this QR code task cards template freebie, be sure to check out the whole bundle. Hope you enjoy the freebie and let me know if you create something with it!